Parsley Woods is a residential neighborhood in Wilmington, North Carolina. Started in the early 90s, this community features gorgeous homes with plenty of updates in a secluded area along the Intracoastal Waterway. 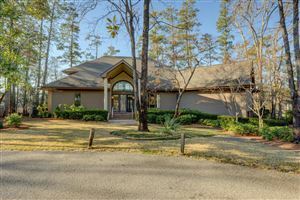 The community amenities include a clubhouse, pool, dock, and tennis courts. Near the intersection of Military Cutoff and Wrightsville Avenue, the community is close to Wrightsville Beach, Airlie Gardens, and several other local attractions. Click on the listings below to see pictures, features, amenities, school information, and more. Interested in viewing a home or have questions? Please don't hesitate to contact us. We can help you with this community or any other in the Greater Wilmington real estate market.